Wake up and smell the coffee! Once not so long ago, breakfast was billed as the most important meal of the day, now it’s the most photographed. 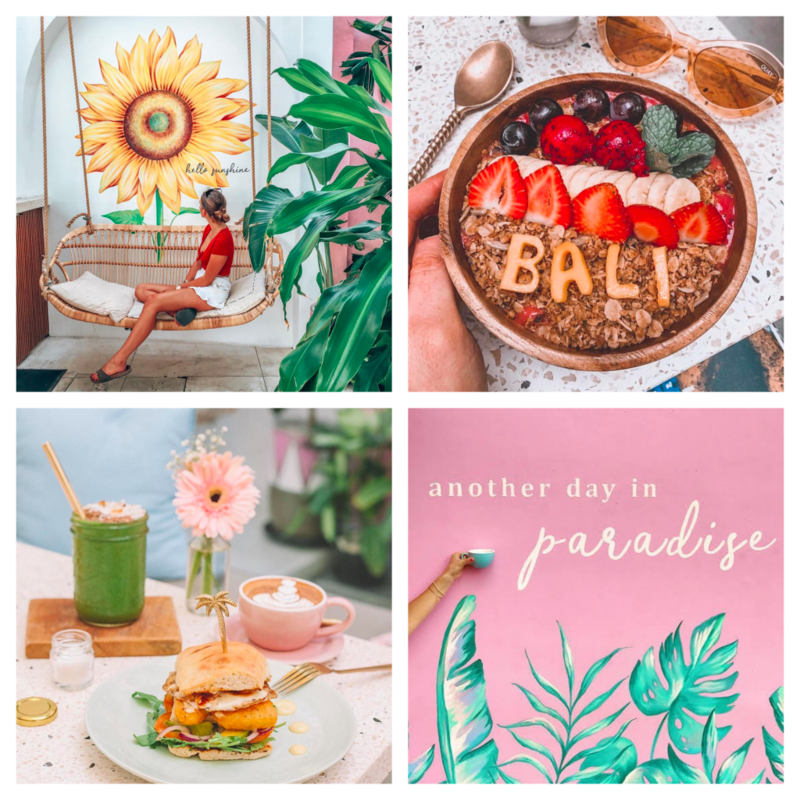 While some of Bali’s most Instagrammable cafes feature on our list of Seminyak’s best breakfasts, we’re there for the food, the coffee and the experience. If it looks good too, that’s even better. 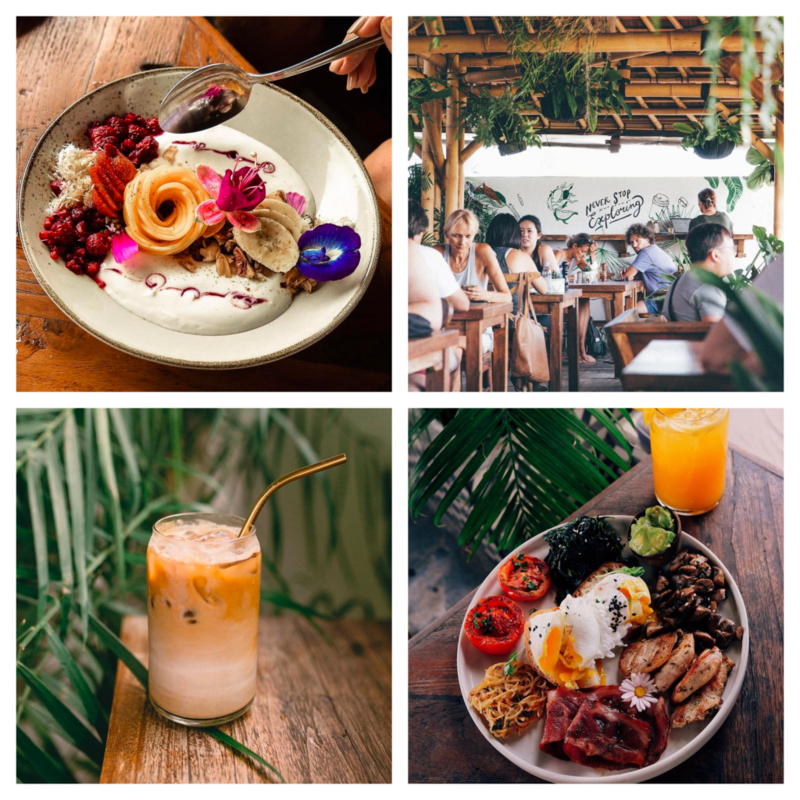 Before you do your head in trying to make your own list, we created one for you, featuring the best places to start the day in Seminyak. Enjoy. 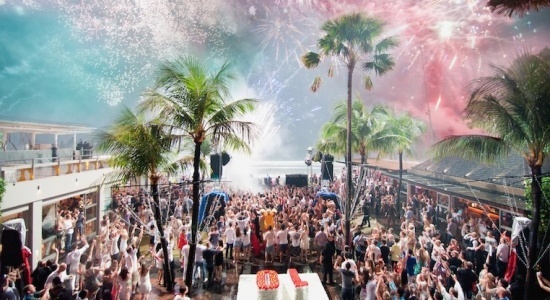 Kudeta, more than just a cafe, this iconic beachclub is famous for its food, cocktails and eclectic soundtracks. Get in line, Sisterfields plays to a crowd every day. They come for the coffee, the atmosphere and the gourmet breakfast. 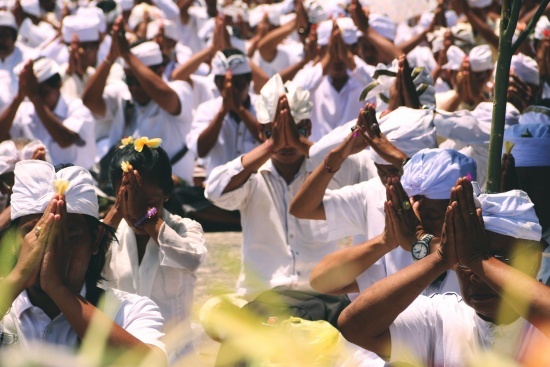 If you’ve been to Bali before, you probably know Sisterfields. 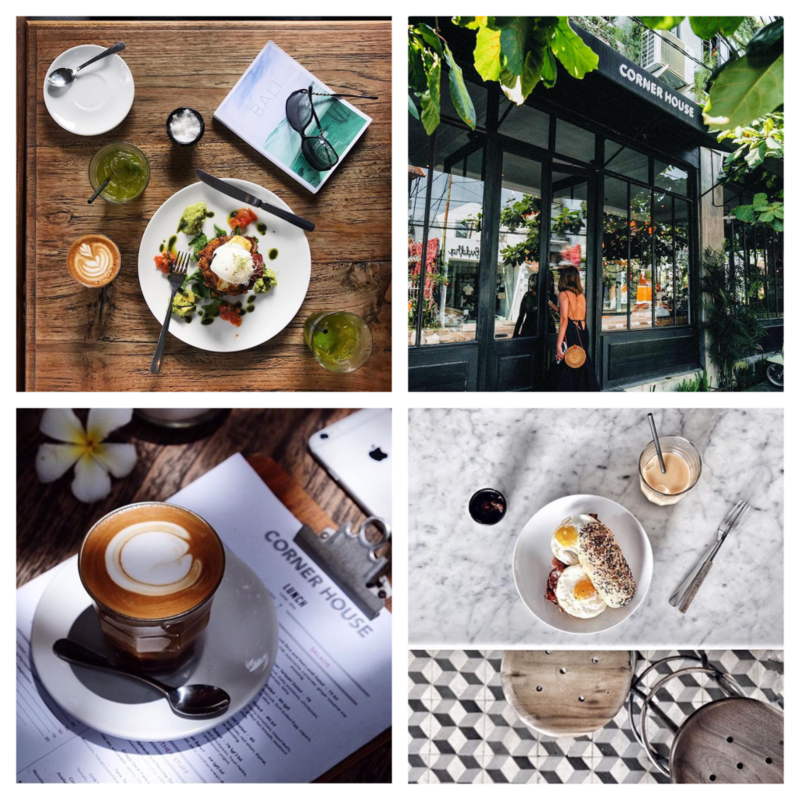 It’s a super cute restaurant with designer interiors, great coffee and loads of great breakfast choices. Even the staff are special. Recently they updated their menu and it’s better than ever! You might need to come in early to get a table, as they line up outside, it’s that popular. Never fear, their coffee shop, Siblings is right next door so fuel is always close at hand. 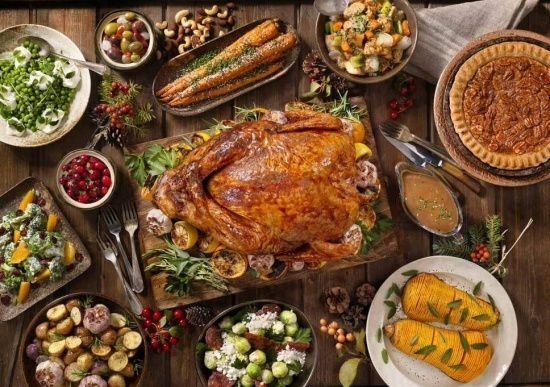 Plenty on this menu for the healthy eaters and the sinful will find their own guilty pleasures here as well. Cocktails and breakfast? It must be 5 o’clock somewhere. Check out their Instagram page. Be part of the KYND community. Vegan favourites prepared in so many ways keeps the crowds smiling and the planet that little bit happier. 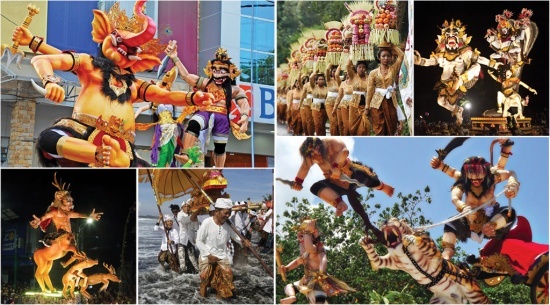 In Bali vegans are spoiled for choice but there’s nowhere quite as rosy as KYND COMMUNITY. 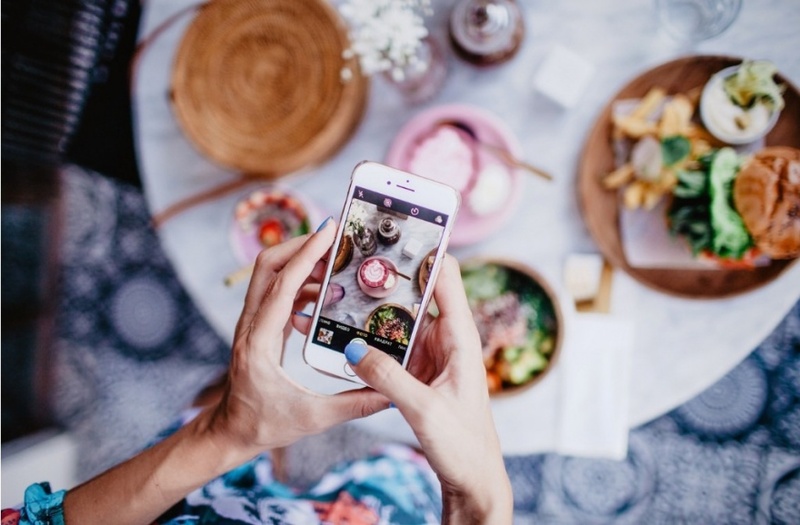 Dressed in pink, there are lots of Instagram moments here but stop a minute and check out the menu, it’s every bit as good as people say. There’s more to KYND than just the cafe, and the food, they also promote kindness, and it’s not just a slogan. 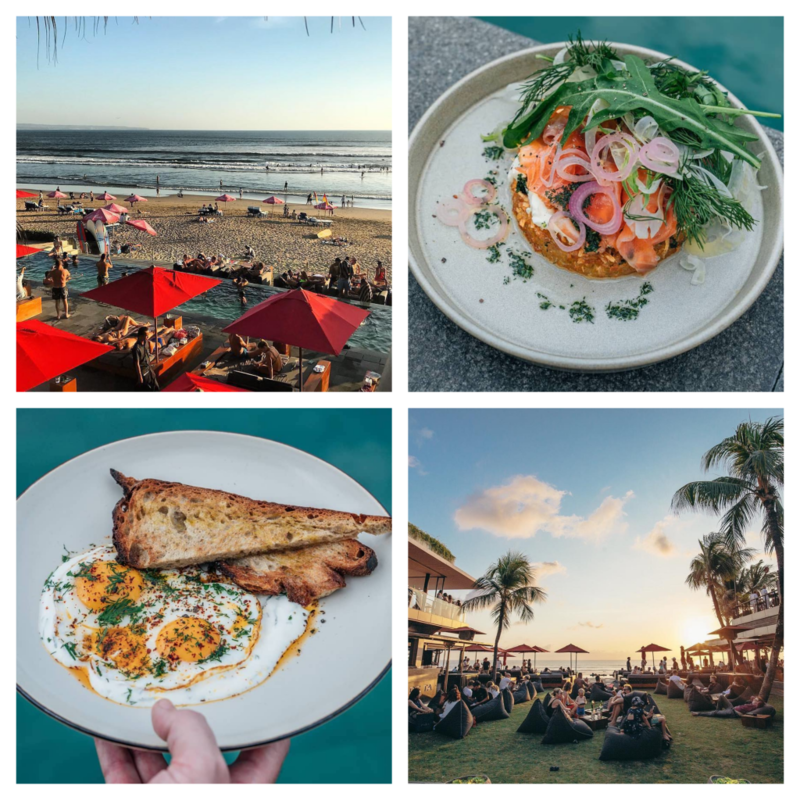 The philosophy behind KYND has given rise to their second cafe in Canggu that gives it’s profits to charity, it’s called GIVE Café. Throughout the café you’ll find inspiring quotes encouraging kindness and sharing the love. Rest assured you won’t miss your eggs and bacon once you’ve spied this menu, because the food is soooo good. Kynd also walks the walk; no plastic, smiling, happy people and a delicious plant-based menu. 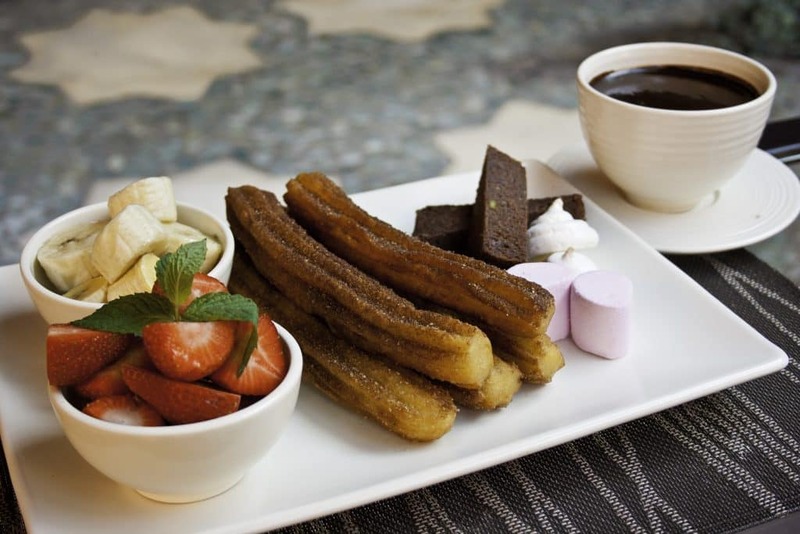 Dive into one of their bowls, dip into the sweet treats or the gourmet toasts, which are too good to be true. Check out their page on Instagram. 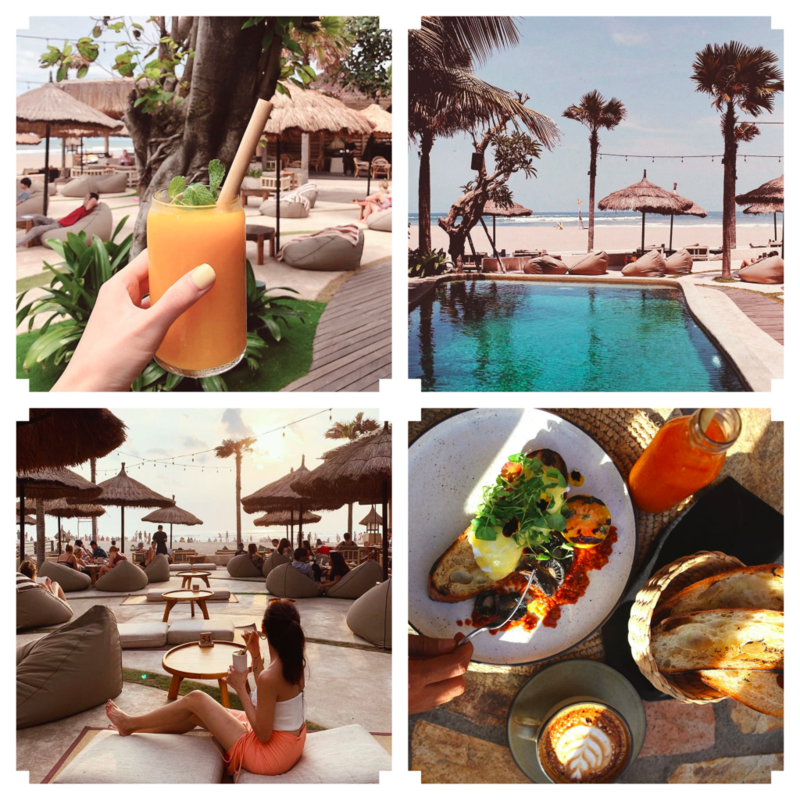 Mano Beach House is absolutely Seminyak’s most chilled out way to enjoy a day at the beach. With a delicious all-day breakfast, you can rock up and time you like. 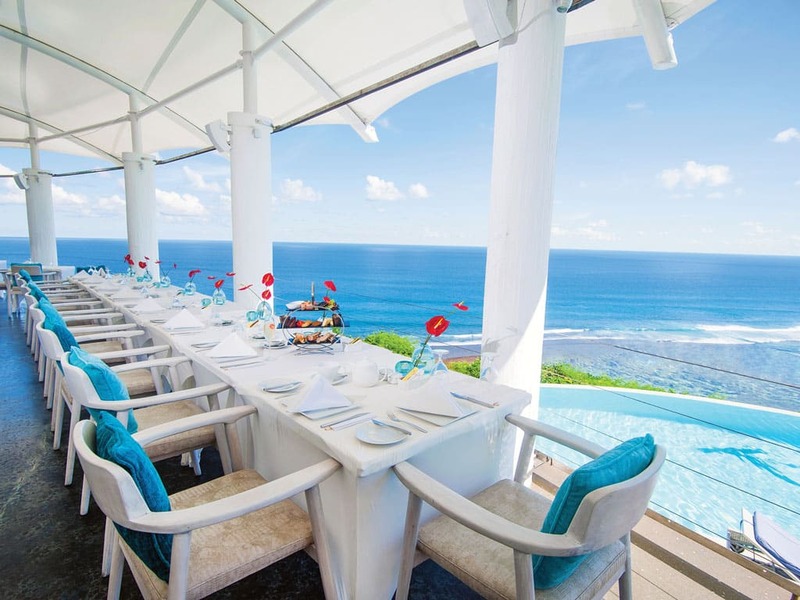 The ultimate chill out spot, Mano Beach House sits right beside the beach and their breakfast comes with a pool and a view. It’s also available all day, for the late night crew. Choose from delectable haloumi with creamy scrambled eggs and crisp salad, stacks of pancakes smothered in fresh berries or pretty little bowls of yoghurt, muesli and tropical fruit. Dive in to their fresh juices and smoothies and grab a day bed and hang out. 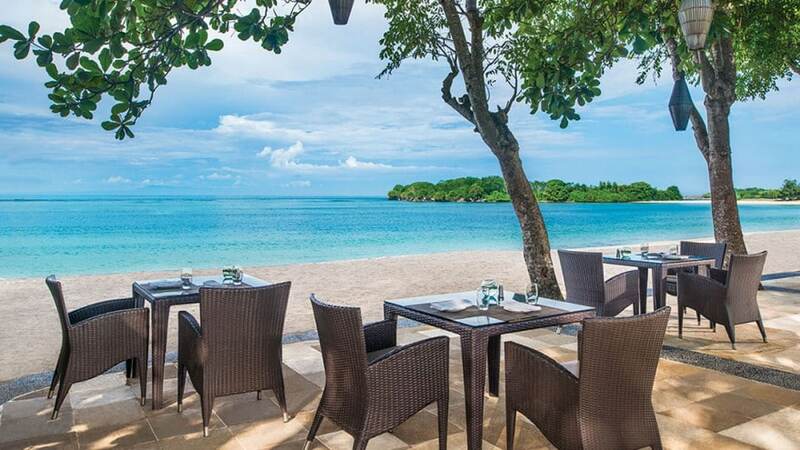 Smooth tunes, sea breezes and genuine hospitality makes for a great start to the day. Book your spot or just show up. In a pretty side street in Seminyak, Shelter Café is hidden. It has a breezy, relaxed atmosphere with incredibly good food. When sitting in the café you get the feeling you are in a hidden treehouse. From sweet to savoury, from burgers to design-your-own breakfast, they have it all! Underneath Shelter you’ll find Nalu Bowls, an insta favourite, and they will deliver your bowl to the café upstairs. Shelter is one of Bali’s most popular cafes and there is always a crowd, no matter what time of the day you visit. While you’re there don’t forget to have your photo taken, it’s the thing to do here. There’s a whole world of Asian flavours to discover at Jackson Lily’s. Award-winning Australian Chef, Dean Keddell puts the spice into breakfast, and he serves it all day. Just around the corner from Shelter Café, you’ll find Jackson Lily’s, a treasure chest for Asian food lovers. If you’re looking for an Asian-styled breakfast, this is the place for you. Although rice isn’t on everyone’s breakfast menu, you will find it here alongside Middle Eastern classics, curries with flat breads, and their Nasi Lemak is a breakfast classic ( think chicken rendang, crispy fish, rice and a fiery sambal). 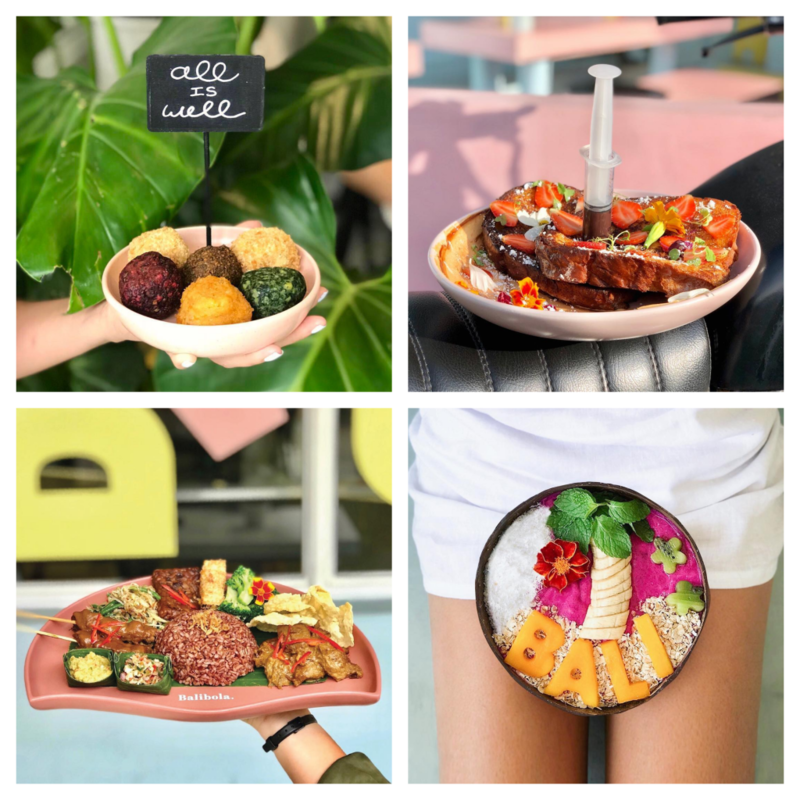 They also offer avocado toast or shakshuka eggs for the more western breakfast lovers, washed down with a delicious menu of non-dairy smoothies. When in Asia… try Jackson Lily’s, where breakfast is served until 4pm. 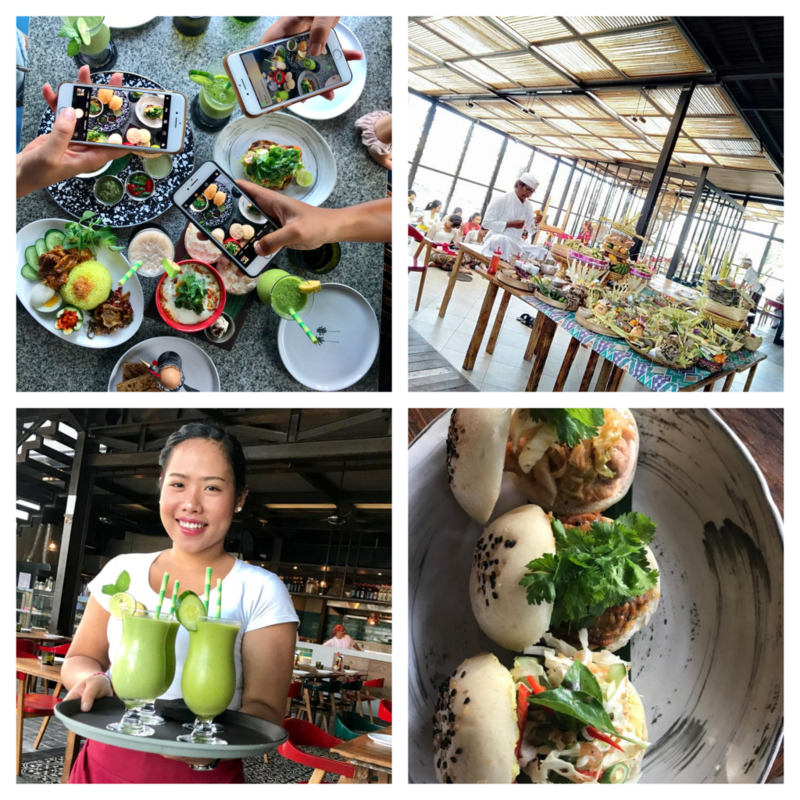 Thinking outside the box, Flexitarian Cafe Bali Bola adds colour and flair to its vegan and vegetarian menus. 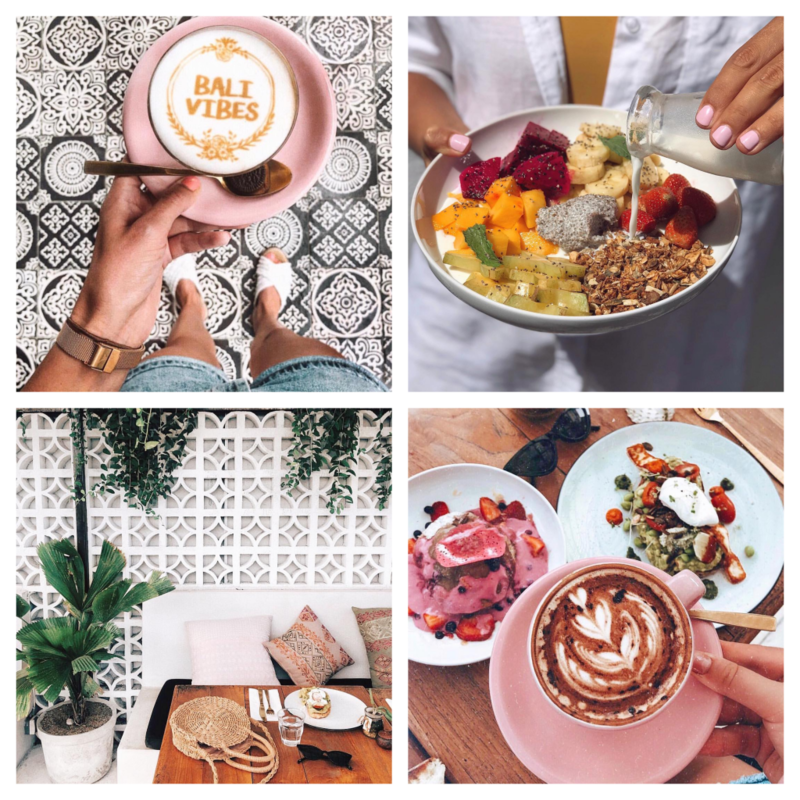 If you love colour, healthy food and an Instagram moment, Bali Bola ticks all the boxes. It’s full of fun, cute little niches and interiors bursting with colour. They have a few tricks up their sleeve that put them on this list. They are responsible for introducing Bali to their Flexitarian menu ( who even knew there was such a thing? ), combining lots of healthy choices for vegans and vegetarians and a little salmon side for the protein lovers. They also introduced us to ballers, balls full of flavour and colour. More than twenty years on, La Lucciola is still the darling of the Seminyak breakfast crew. Dive into Italian-inspired favourites and classic breakfast dishes. No doubt about it, this is a classic and of all the meals they serve at this airy, two story bamboo restaurant, breakfast is probably the most popular. 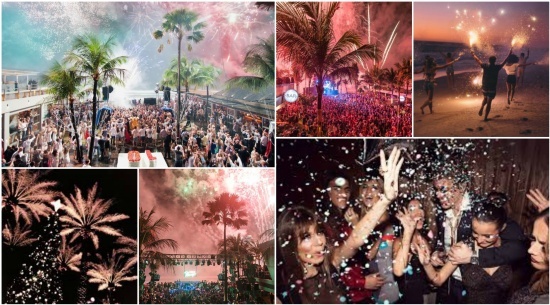 La Lucciola is over 20 years old but it remains one of Seminyak’s favourite spots, overlooking the beach with its trademark palm trees dotted in the lawn. 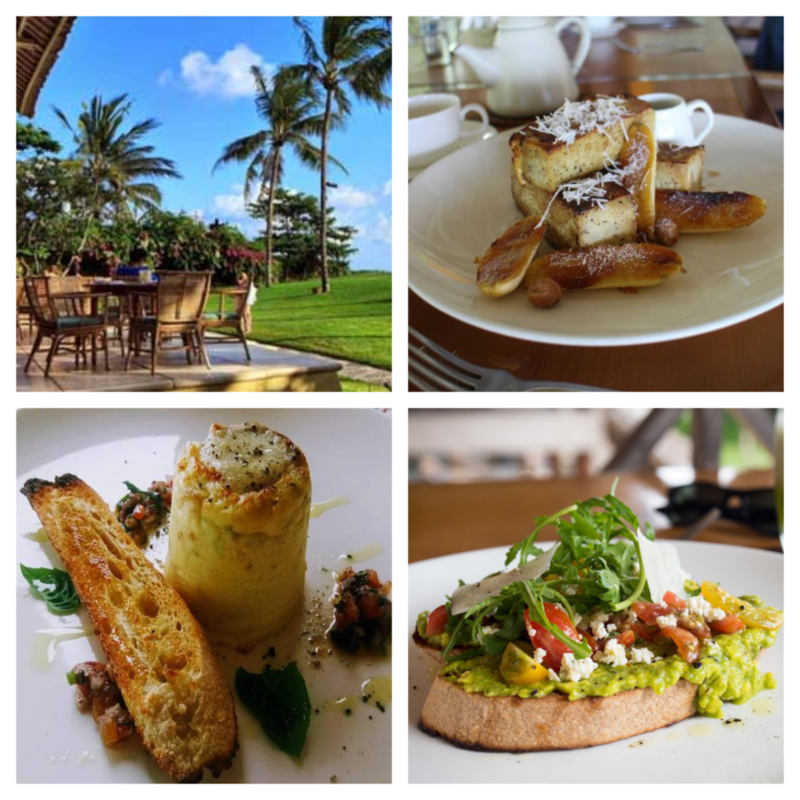 Breakfast ranges from amazing bakery items made in-house to classics like Eggs Benedict and Italian-inspired dishes. Their range of freshly made juices, smoothies and granitas are second to none. The coffee is quite sublime as well. It’s a rare expat who doesn’t have this on their visitors’ list, head down yourself to find out why. urban vibes and French flair put this Brasserie-style cafe on our list for breakfast and so much more. It’s a little bit French, it’s a little bit Sydney and it’s on the corner at the top of Oberoi Road. The Corner House is a hang out for both locals and tourists. 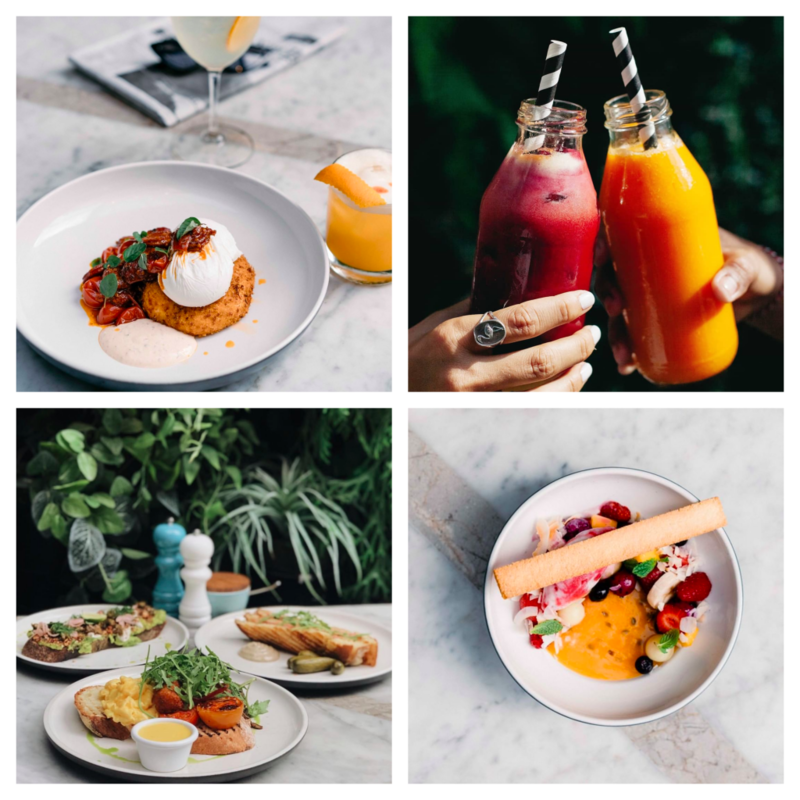 With its brasserie-style interior and blackboard menus, the vibe here is cool and urban and their breakfast menu full of breakfast favourites and great coffee. The large airy restaurant leads out to a pretty courtyard with small tables and larger shared tables. 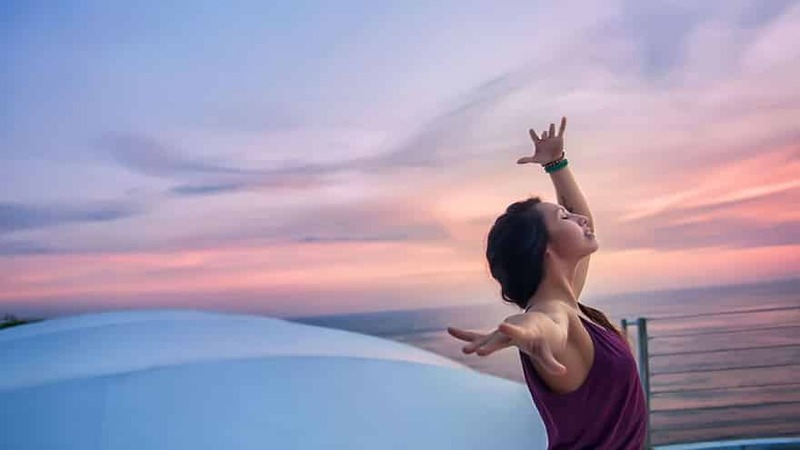 Expect to see groups of friends getting together to discuss the night before or their latest project, singles setting up their laptops over croissants and coffee and catching up with the world, or ladies in their yoga gear ordering up smoothies and granola bowls and swapping health tips. It’s a lifestyle cafe that caters for everyone. Coffee is where it all started for this colourful cafe where breakfast is a destination and the coffee comes in all kinds of colours and flavours. Our last spot on the list is Coffee Cartel. It’s a coffee boutique, with a passion for food and colour! Their menu features some of the most unique coffee blends on the island. It’s time to step out of your comfort zone and try some of their signatures, from the pink velvet chai latte to a “Dirty Coconut”, coconut water with a shot of espresso! The baristas will even personalise your coffee with a chosen picture carved into the milk foam. Coffee Cartel’s breakfast menu is huge, by the time you choose it might be time for lunch. Luckily breakfast is served all day there. For the health conscious among us, they serve avocado toast, eggs, acai bowls or the design-your-own-breakfast. For the sweet-lovers they have banana bread and pancakes. Also, great vegan options are available for almost every dish.